The information presented on this page was originally released on July 6, 2012. It may not be outdated, but please search our site for more current information. If you plan to quote or reference this information in a publication, please check with the Extension specialist or author before proceeding. MISSISSIPPI STATE – Landowners debating the timing for their next timber sale should send trees to the market sooner, rather than later. MISSISSIPPI STATE – A Southern pine beetle prevention program is available to forest landowners to encourage the thinning of timber stands to promote healthier, more insect-resistant trees. Andy Londo, an Extension and research professor in Mississippi State University’s Forest and Wildlife Research Center, said the first Southern pine beetle activity in the state in recent years should motivate landowners to take advantage of an ongoing cost-share program. The program provides a $75 per acre cost share, or about $3 per ton, in addition to stumpage for landowners to thin their pine trees. “Proactive management activities, such as periodic thinning, can increase overall forest health and reduce the threat of a Southern pine beetle outbreak,” he said. In 2008, the Mississippi Forestry Commission, in conjunction with the U.S. Forest Service and the MSU Extension Service, started a cost-share program to encourage private forest landowners to thin dense pine stands to prevent future Southern pine beetle infestations. Cost shares for commercial and pre-commercial thinning are available for sites south of Interstate 20. Londo said thinning tree stands to desired levels is the best prevention tool. There are no effective chemical treatments to prevent a pine bark beetle infestation in a forestland setting and no reasonable chemical extermination methods. Details of the program, including deadlines and payment schedules, are available in the document “Reducing the Threat of Southern Pine Beetle Infestations: A Guide to Cost Share Pine Thinning Operations in Mississippi.” Get this information by contacting the local county Extension director, by calling the MSU Extension forestry office at (662) 325-3905 or by emailing ajlondo@cfr.msstate.edu. Regional Extension forestry contacts include James Floyd in southwest Mississippi at (601) 857-2284 or jfloyd@ext.msstate.edu, and Butch Bailey in southeast Mississippi at (601) 794-0671 or butchb@ext.msstate.edu. 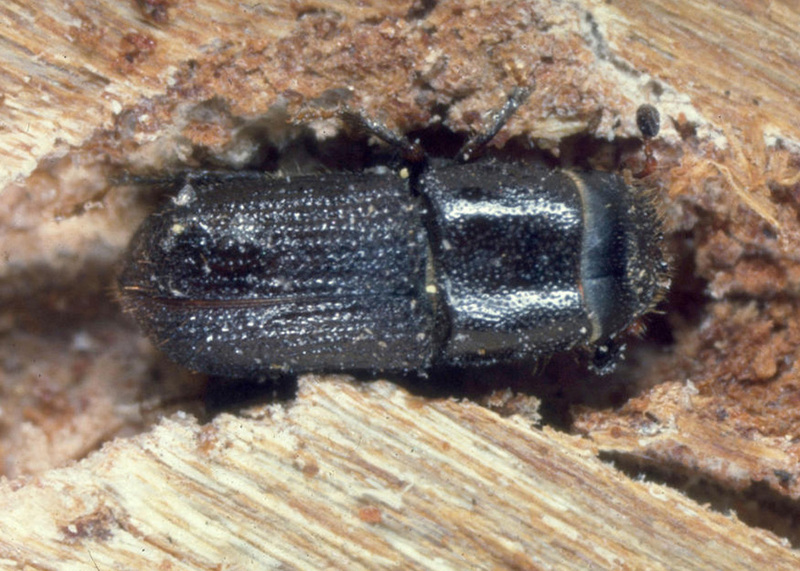 See Extension Publication 2448 “Identifying and Controlling the Southern Pine Bark Beetle” for more information.